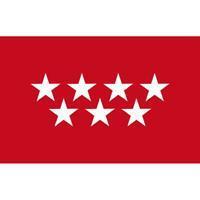 Comunidad de Madrid (autonomous communities). It has a population about 6,489,680 inhabitants, the area is about 8,022.00 km², its density is 808.41, its unemployment rate is 16.51, its coastline length is 0 , its number of provinces is 1 , its number of municipalities is 179 , its gdp is 189,431.95, its average altitude is 817 , its capital is Madrid, its president is Ignacio González González, its number of unemployed is 416,659 , its activity rate is 62.77, the number of foreign tourists in the last year was 4,606,471 , the number of nacional tourists in the last year was 10,108,078 , the average house price is 2,006.20. There is information in Classora Knowledge Base about 11 rankings, reports and surveys.